We’ve seen Vanagon ambulances before. This one was used in the Belgian Army, and was recently for sale. 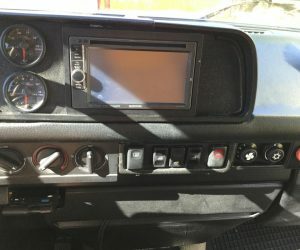 Click through for the full description and another pic. Built September 1988. 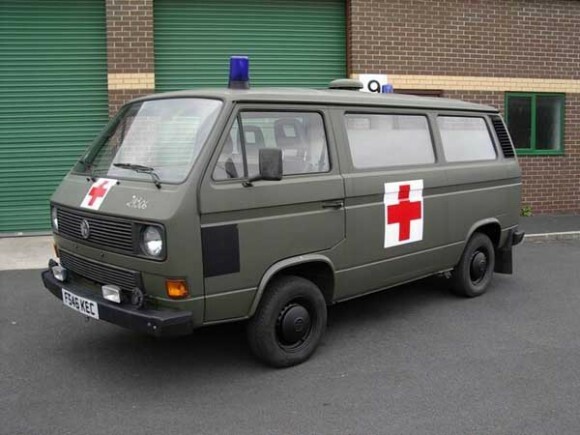 Formerly a Belgian Army ambulance; imported from Germany and registered in the UK in August 2003 (Belgian, German and UK documents to confirm). 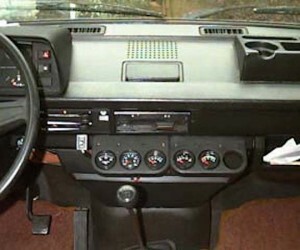 Left-hand drive with factory-fitted side windows, three-seater cab and Eberspacher petrol-fired rear cabin heater. 1900cc petrol engine, all original with 75,000 kilometres; battery renewed, hydraulic tappets renewed, electric fan renewed and recent complete coolant change (all 17 litres of it!) with genuine VW coolant, pressure tested to make sure! UK MoT-compliant headlamps and foglamps. Bodywork not mint (it’s ex-mil…) but totally solid. Factory drab olive green, originally with red-on-white ‘red cross’ markings which are now removed but could be reinstated easily. 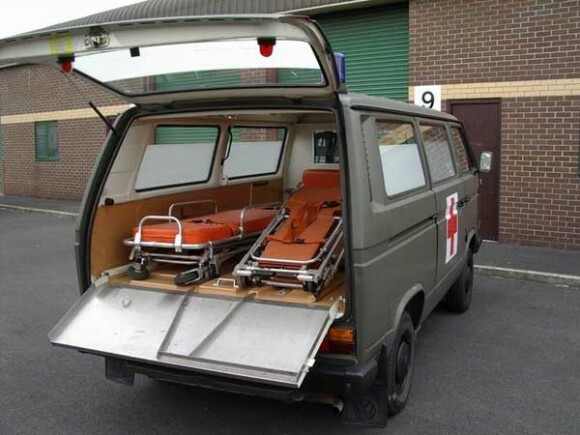 Original ambulance conversion (installed in Belgium by Van Muylder) which includes roof-mounted electric ventilation/extraction fan and 12V interior lighting, interior panelling including stretcher floor plus partition between cab and rear compartment (original metal bulkhead also present), folding attendants’ seats, partial privacy-etching to rear side and tailgate windows, twin roof beacons and twin two-tone horns.